Bird Drawing From Life Tutorial in Pencil. Bird Drawing from life can be problematic because wild birds can be gone in a flash. Bird sanctuaries and similar establishments are a boon to artists and there is nothing wrong with using photographs as a reference. However a rapid sketch can have great charm and an immediacy difficult to recreate. When the opportunity arises jump in feet first. 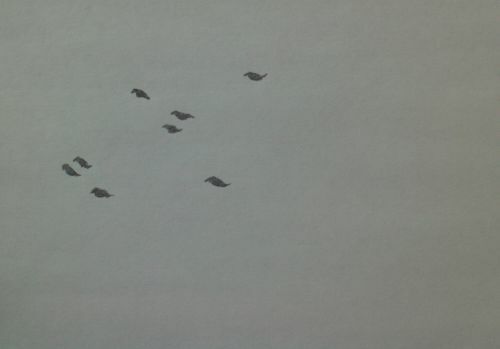 A little flock of birds appeared quite suddenly on a bare tree outside my window. 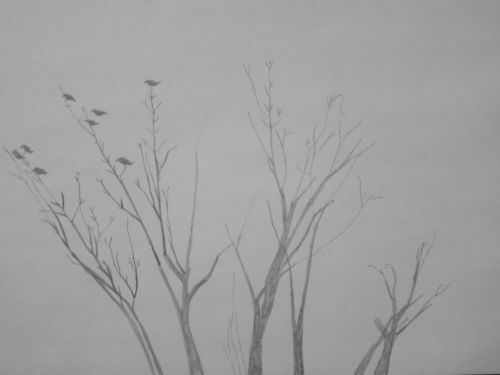 I liked the silhouette they made against the white sky so I grabbed to chance to sketch them with a 6B graphite pencil on typing paper. 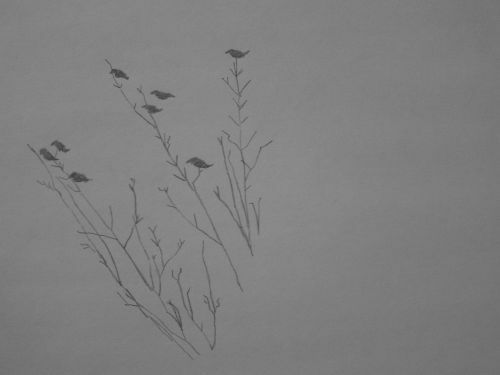 Knowing the birds would soon fly I quickly scribbled their stocky little bodies. I ignored the tree and approximated where the birds were in relation to one another. They flew away in seconds but I had enough idea of the number of them and obviously the tree wasn't going anywhere. 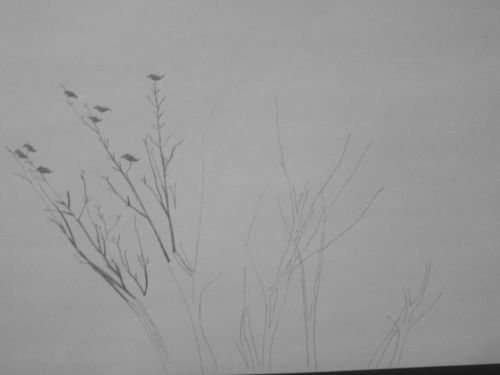 I sketched the branches in but as I'd started the drawing in a pleasantly scribbly manner I carried on working at speed. 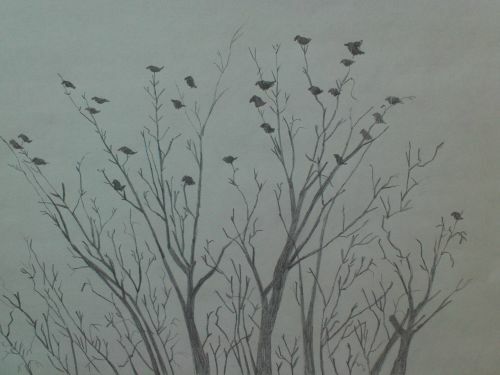 I thickened the branches, mainly because I wanted to put the birds in place. I wanted them to look supported by the tree. I moved on to the other branches working in the same quick way using dashed lines. To me this is what sketching is all about. Rapid and loose. 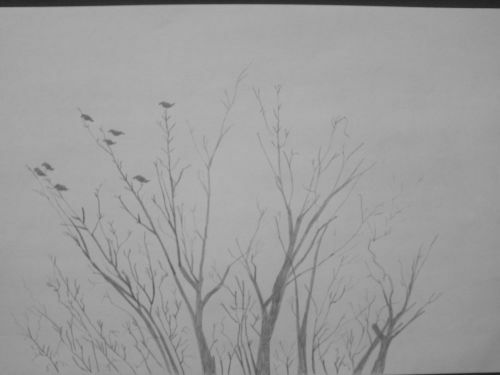 As before I thickened the branches. I worked on other twigs to give the correct dimensions of the tree. 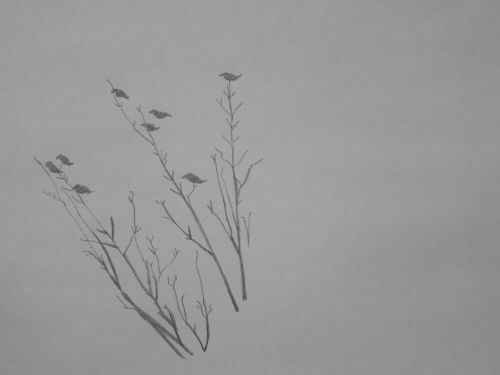 Finally using the other birds as a guide I draw in the other birds and add the odd twig and branch where required. The whole sketch took less than five minutes, the kind of speed that's an ally to anyone who wants to sketch birds from life.